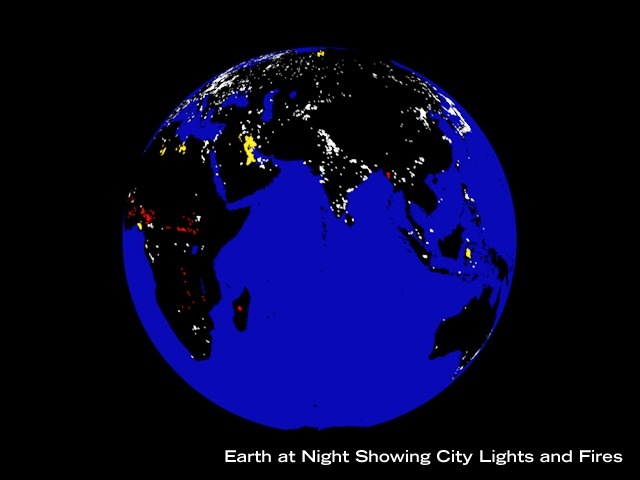 To understand what causes light pollution and how it can be curtailed. This lesson provides a context in which students can consider and discuss some of the benefits and drawbacks of technology, as it relates to light pollution. In this lesson, students will consider the negative consequences of nighttime lighting, enabled by the invention of electric lights at the close of the 19th century. They will discover that there are unintended consequences resulting from our ability to illuminate the night, just as there are benefits. In particular, they will learn how excessive night lighting in suburbs and in rural areas from street lamps and other sources of "light pollution" have obscured our view of constellations, meteor showers, and even the planets. This has had an impact not only on our enjoyment of the night sky, but also on the science of astronomy which relies on observations of extremely faint objects that can be made only with large telescopes at sites free of air pollution and urban sky glow. The long-term interests of society are best served when key issues concerning proposals to introduce or curtail technology are addressed before final decisions are made. Students should learn how to ask important questions about the immediate and long-range impacts that technological innovations and the elimination of existing technologies are likely to have. Refer to The night sky in the World for background information on light pollution. To enrich their understanding of how technology has shaped how people live now, students should examine what life was like under different technological circumstances in the past. They should become aware that significant changes occurred in the lives of people when technology provided more and better food, control of sewage, heat and light for homes, and rapid transportation. To help students develop this understanding, discuss with the class what the night sky looks like today and contrast it to what it might have looked like 100 years ago. Then, ask students if they have heard of light pollution, and what they suppose that it might be. Have students view the images of night on earth as seen from space. (See the Planning Ahead section for image sources.) 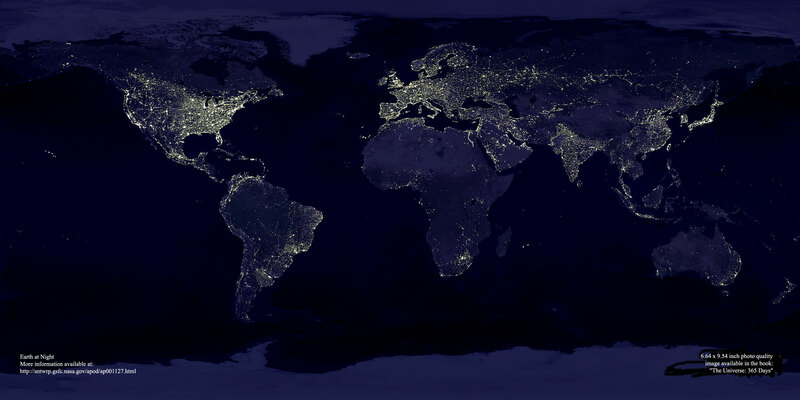 These images clearly show that the more industrialized countries are also the most illuminated. Show students the Outdoor Lighting Ordinance for Boulder, Colorado. Have the class look at the photographs of shielded and unshielded night light in the middle of this page. Ask if students can see the difference between shielded and unshielded lighting. Is all of this brightening necessary? What problems are caused by excessive lighting of the night sky? Who or what is being affected? What are some of the problems for animals? Will everyone want to reduce the brightness of the night sky? Why, why not? How would reducing light pollution save money? Is there a solution that would still enable us to provide nighttime illumination for those who need it? Your job is not to provide students with the "right" answers about technology but to see to it that students know what questions to ask. Therefore, conclude the lesson by asking students to brainstorm a list of questions that they might ask if they were responsible for deciding whether or not to pass an ordinance in their town to reduce the brightness of the night sky. Using Part 2 of the Too Bright at Night? student sheet, have students list the rewards and risks of the technology that is causing sky pollution. Students are then directed to write a brief statement outlining what, if anything, they think should be done about light pollution. Their statement should include specific references to actual problems and descriptions of any remedies that they think might be effective. Students can do an assessment of the level of light pollution in their community overall and in their neighborhoods. They can find examples of wasteful nighttime lighting and propose remedies for the problem. Hawaiian Astronomical Society’s page Why You Can't See the Stars contains links to other resources on light pollution.